Located 50 kilometres south of Bali's centre, Kuta Selatan is a popular district to see when travelling around the region. 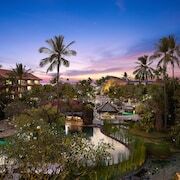 Nobody's trip to Bali can be complete before a day exploring the Tanah Lot and Kuta Beach. At Green Bowl, the shores and salty sea air await. So pack your towel, and head out to enjoy the surf. 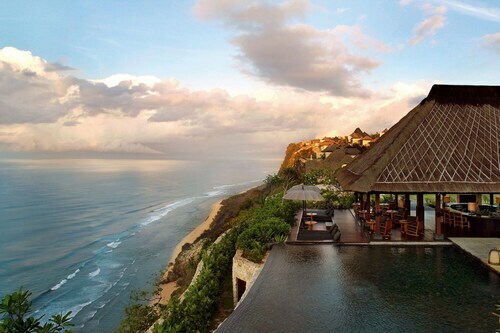 The Semara Luxury Villa Resort Uluwatu and Banyan Tree Ungasan are great if you'd like to sleep nearby. Check out what Jenggala Factory has on offer. You may uncover a terrific gift for a loved one, or even yourself. 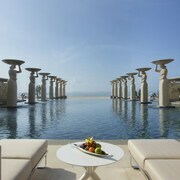 Try the Four Seasons Resort Bali at Jimbaran Bay and Temple Hill Residence Villa to be close to this site. Are you searching for budget accommodation in Kuta Selatan? 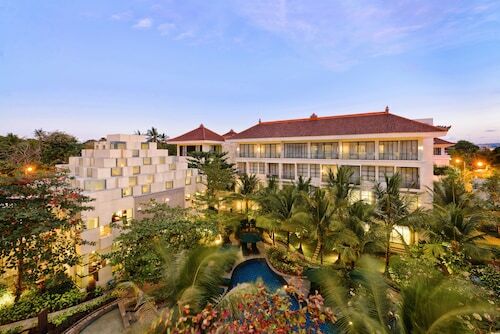 Look into Kuta Selatan's affordable options, such as The Hill Ungasan House and Bali Breezz Hotel. 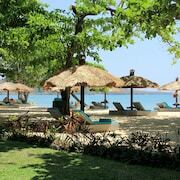 Kuta Selatan boasts a decent selection of accommodations for most budgets. However, if you are looking for something a bit more extravagant, have a squiz at the deals at the Bulgari Resort Bali and The Edge Bali. Do you have trouble getting going without at least one coffee? You'll be relieved to know Kuta Selatan is home to some fantastic cafes. Max Cafe is a local favourite, offering a mouthwatering selection of hot drinks and treats. Wondering what to do for dinner? You can't miss Anumana Bay View. The hearty meals here will be sure to recharge your batteries. Your night might be coming to an end or just getting warmed up. Either way, some drinks at GaRaSi Resto & Grill certainly couldn't hurt. Don't panic if you cannot find the right Kuta Selatan hotel room. You will find more alternatives in the Ungasan hotels guide and the Wotif Kutuh hotels guide. Ungasan is 2 kilometres from Kuta Selatan and Kutuh is 3 kilometres away from Kuta Selatan. From accommodation to flights, car hire to activities, Wotif is here to help make your Kuta Selatan daydreams come true. 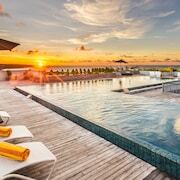 How Much is a Hotel Room in Kuta Selatan? 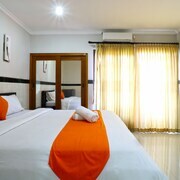 Hotels in Kuta Selatan start at AU$49 per night. Prices and availability subject to change. Additional terms may apply.